In memory of Shihan Sister, Ellen Phillips, Elly. This is her last writing on her Blog. I will miss her and her rare talent of writing. And she will be with all of us in this retreat, in spirit. Posted by ourfriendben in Reiki, Reiki exercise, Reiki wisdom. It’s not easy to be quiet, or be in quiet, these days. Unless you live in a monastery, it’s practically a lost art. We all know it’s good for us. At some point, we’ve all heard someone say “It’s so loud in here I can’t hear myself think!” We know we must find quiet to recharge, to be able to truly hear the people who need our attention, to hear birdsong. But we’ve become part of a culture that tries to fill every second with sound, activity, excitement. How can we find “the beauty of God”? …………………..
………………….Once you’ve chosen your spot and turned off as much noise as possible, just sit. This is the hardest part. ………………….Your goal here is “for mind and body to drop away,” at least while you sit, and for quiet to gather within you. Every time you do it, it becomes easier to drop into silence. And when you come out, it becomes easier to hold that silence in yourself. I will be attending 2015 retreat from August 14th and looking for someone that can give me a ride from New York city area. I will be happy to share the cost. Hi, Karen. I posted it myself. i hope I did it right. thank you! Looking forward to seeing you at Komyo Retreat and Celebration. yes! I didn’t know you will be attending. looking forward to meeting you and sharing this blissful event. Hi, I replied you already. But you can always post this on KRR FB page. Thank you for posting this remembrance of my beloved partner, Elly Phillips, who took my heart with her when she passed away June 2, 2015. Elly’s ashes were buried June 15 in Springfield, Ky. Anyone interested in reading the eulogy for Elly or in learning details about a remembrance celebration on what would have been her 60th birthday, on Oct. 11, should email me. Thanks for sharing on Elly’s passing. She also left me with broken heart. 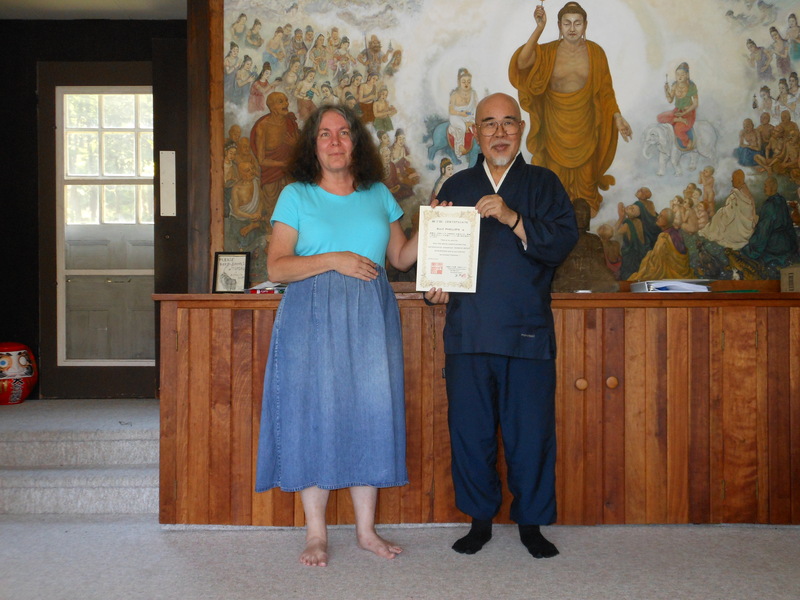 She was expected to attend the upcoming Komyo Reiki Retreat, as per our last email exchange. She will be missed and commemorated during this retreat. P.S: You are very welcome to be with us, on Saturday evening. Kindly let me know. She’ll be happy to see all of us together. it's first come first serve. For more choice in Rooms.